Transformer refers to the static electromagnetic setting which can transfer power from one circuit to another one. In AC circuits, AC voltage, current and waveform can be transformed with the help of Transformers. Each transformation is usually to transfer from one circuit to another one by the way of electromagnetism, but it has no direct relation with this circuit. It also can be transformed through electromagnetism (electrical manner). This electromagnetism is known as auto-transformer. 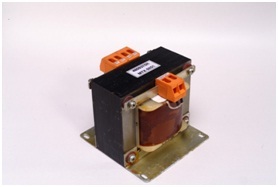 Transformer plays an important role in electronic equipment. AC and DC voltage in Power supply equipment are almost achieved by transformer’s transformation and commutation. At the same time the electrical parameters transformed by transformer are not one but a few ones. No-load state of Transformer: viz. the disconnecting state between the secondary winding and load (Figure 1-2). 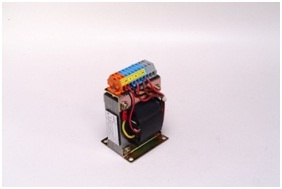 Connect the primary winding and the power supply of AC voltageU1, and then it will produce alternating current I0, this current is called no-load currents. This current set up alternating magnetic flowf0 which is closed along iron core magnetic circuit. At the same time, it traverses the primary winding and secondary winding, and then produces inducting electromotive forceE2 (secondary no-load voltage).